CVC secured a 27 per cent share of the Gallagher Premiership for £200million and are also interested in the Guinness PRO 14. 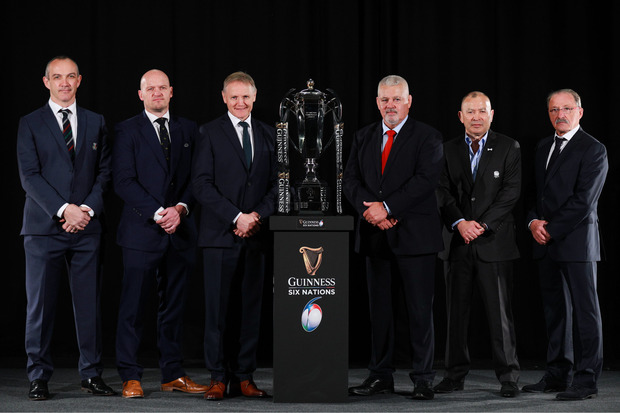 The Six Nations would be their first move into international rugby and news of the offer comes on the eve of a World Rugby-hosted meeting in Dublin in which the controversial Nations League is to be discussed. However, a Six Nations source has said that the CVC deal is just one of several options being considered to help launch 'Project Light' - the proposal for all the teams in the tournament to pool their commercial revenue. It has been stressed that outside investment is not needed to get 'Project Light' off the ground. The challenge facing World Rugby on Thursday is to convince the attending Six Nations teams - all tier one sides plus Fiji and Japan will be present - that their plans for an annual global tournament climaxing in a final is more beneficial than the pooled TV rights deal that they are negotiating. World Rugby chairman Sir Bill Beaumont called tomorrow's meeting to discuss the future of the international game amidst controversy over plans for a Nations League. England captain Owen Farrell and Ireland fly-half Johnny Sexton are among the game's biggest names to have warned of serious player welfare and integrity concerns over World Rugby's proposed new competition structure. A new global season is due to kick off next year, running until 2032, and discussions have taken place about a new Nations League that would combine 12 international sides from both hemispheres in a competition running through summer and autumn and culminating with play-offs and a final.